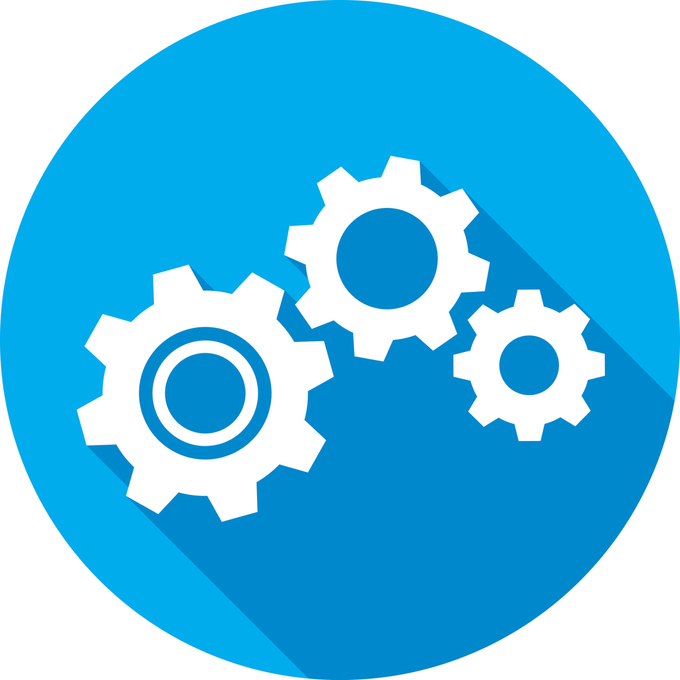 If you have a card with rotating categories, such as the Discover it, you know that timing your rewards can be a bit tricky. You sometimes need to plan your big purchases of the year in order to take advantage of that stellar 5% back rate. If you’re like me, you may even stagger your Discover spending with other high rewards credit cards offering the same quarterly categories -- it’s almost a game. Well, if you want to start planning 2019 purchases to maximize your cash back earnings, you’re in luck. Discover just released its entire rewards calendar for 2019, allowing cardholders the chance to plan their year. Considering that the issuer has previously released categories only a few quarters at a time, having an entire calendar year view is incredibly helpful when it comes to optimizing 2019 spending. Here’s a look at what you’ll get from Discover’s quarterly categories next year, what is different from 2018, and how to make the most of that 5% cash back. One of the downsides to getting a rewards card that offers quarterly cash back categories is that if you spend outside of those categories during the other 9 months of the year, you won’t earn much. While you’ll still get the standard 1% back on every purchase, this isn’t nearly as helpful as the 5% you’ll get by shopping within the featured category. For the 2019 calendar year, we will see some familiar faces when it comes to quarterly categories. The probably won’t come as much surprise to cardholders, either. • Q2 (April through June) is Gas Stations, Uber, and Lyft – You’ll earn 5% cash back on purchases at categorized gas stations, as well as spending through ridesharing apps Uber and Lyft, on up to $1,500 in purchases. • Q3 (July through September) is Restaurants – You’ll earn 5% cash back on spending at categorized restaurants, on up to $1,500 in purchases. • Q4 (October through December) is Amazon.com – You’ll earn 5% cash back on all spending through Amazon.com, on up to $1,500 in purchases. If you’ve carried a Discover revolving rewards card previously, these categories probably won’t look too surprising to you. However, there are a few changes from years past (and even compared to the categories this card family is earning in right now). Revolving rewards cards typically include the following categories at least once: gas, groceries, and restaurants. 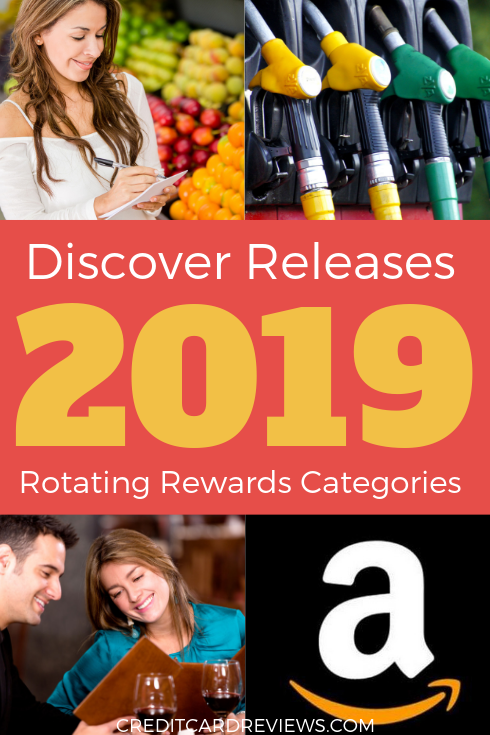 Discover is checking each of these boxes in 2019 with its reward calendar, plus the addition of Amazon.com in the 4th quarter. There are a few key differences, though, when compared to other revolving cards and even previous calendar years. We are currently in Q4, and Discover is offering 5% back on Amazon.com purchases as well as spending at warehouse stores like BJ’s, Sam’s Club, and Costco. As you can see, the warehouse stores will be eliminated in next year’s calendar. If you do a significant amount of household – or even holiday – shopping at these locations, you may be losing out on some serious rewards in 2019. Warehouse stores also don’t earn bonus rewards in the grocery category, even if that’s where you do most of your family’s bulk food spending. So if you are a Costco-shopping family, you may want to consider using a different rewards card next year to maximize your earnings. Next year, we also see the addition of Uber and Lyft to a quarterly category. These are typically coded as transportation expenses, but Discover has decided to lump them in with gas spending for 2019. If you use either of these ridesharing services to get to and fro, you’ll enjoy earning 5% back next year. There also aren’t any hotel or transportation (such as airfare) categories next year. While these aren’t always found on the rewards calendar, they do crop up in certain years. If you want to optimize your rewards on these types of spending in 2019, be sure to pull out a travel rewards card instead. If you net 5% back on your spending in each of these Discover categories in 2019, you’ll be earning a pretty penny. In fact, if you spend the maximum each quarter ($1,500 per category), you’ll earn $300 back next year. That’s on top of the 1% back that you earn on all purchases outside of the featured category, meaning that you could easily earn even more over the course of the year. However, there are ways that you can really make the most of your rewards while carrying a Discover card. No matter which rewards cards you carry, I would recommend staggering your cards and planning your purchases. For instance, I carry the Blue Cash Preferred from American Express, which earns me 6% back on groceries. However, that reward maxes out at $6,000 in annual spending – once I hit that limit, I only earn 1% back. So, I use the Discover calendar to plan my annual food spending. I will use my Discover it card from January until the end of March, to earn 5% back on grocery spending. Then in April, I will switch back to the Blue Cash Preferred, earning 6% back for the rest of the year, until I hit that $6,000 limit. This means that I’ll earn 5-6% on up to $7,500 in annual grocery spending before I’m bumped to a 1% earn. You can do this with any rewards cards that also have a spending limit, or where the Discover calendar could earn you more… even if it’s just for a 3-month period. Another fantastic feature offered by Discover is their Cashback Match. With this, Discover will actually “match” (or double) the rewards earned by new cardholders in their first year of card ownership. So, if you earn all $300 in bonus rewards in your first 12 months, Discover will actually give you $600. Applied to rewards categories, this means that you’re actually earning 10% back when you spend with the calendar. If you are new to the Discover family of rewards cards, you should absolutely plan your spending to maximize this feature. No one else will offer you 10% back on groceries or gas, I assure you! Revolving rewards cards often get a bad rap. With the right planning and card staggering, though, you can turn that quarterly 5% into hundreds of extra dollars. Discover credit cards can be found on the official website, discover.com, and at discover.com/pickit or discover.com/it for people with reservation numbers.